With Gen. Chol Nathaniel Hai attending the first CTSAMMVM Workshop at the National Security Academy, Khartoum, September 2018. At dawn, today, February 11, 2019, somebody dreamt that she saw me with another man (from Nuer community) waving at people behind bars, actually a modern glassy, classy door. Were we in prison? No one can and should conclude, yet. At around 10 AM, my civil service leader called me in a panic mode. “Brother, how are you? And where are you?” Ter Manyang inquired. “Chilling with my family in my house…!” I responded. He continued but with a sigh of relief by telling me that some friend called him from Khartoum and reported my arrest in Bor. That the caller insisted that he got the news from an impeccable source despite Ter’s assurance that he is with me, disseminating the peace agreement in Uganda. Did I stop there? No! I hereby hit the blog. And as usual ask my hell Wishers (not those who bring me their concerns on the fake news), “Stop it, stupid!” NB: This statement in full does not intend to insult anyone in any way, but to ask those behind that idiotic lunacy to stop it, and that it’s a stupid idea i.e. to wish somebody jailed or killed innocently! Therefore, why am I being associated with any news of arrest or of harm “by the government” for that matter? My friend told me he saw someone sharing my photo in which I stand with an opposition member. So why and how wrong is that? With Hon. Ezekiel Lol Gatkuoth in Arusha, Tanzania, during the sPLM Reunification Talks in January 2015. Besides political differences, if any, personal friendship is booming! Woe to those who separate South Sudanese citizens on tribal or political lines. Ideas can different from one person to another on political or other interests’ grounds. If all the solution is physical elimination, then such a person does not deserve any people’s position of responsibility. By the way, does President Kiir know that rogue killers, those who feel insecure from seeing other citizens talk or prosper, are doing all the sh*ts in his name? This, that he has ignored for long, has a huge bearing on his very long and illustrious pedegree (legacy) that cannot be imposed by any decree but noted and passed on from generation to generation without his contribution in shaping the story for the history. Ideologicallly, people diverge today and converge tomorrow on ideas and interests. For instance, I have just read and published on http://www.aftaboss.wordpress.com a very rich and factual presentation on the Sudan Uprising by Yasir Said Arman at Oxford University on 8 February 2019. He said the ongoing peaceful revolution in Sudan is premised on the SPLM’s values of Dr. John Garang. Unfortunately, he has no kind words on the ‘Southerners’ who are propping up the collapsing Omar Al Bashir against the Sudanese people today. Politics being that dirtiest game ever, who has ever thought Salva Kiir would support Omar Al Bashir against Malik Agar and Yasir Arman today? I call this Oil or RARCSS-related phenomenon ‘The Salbashir Marriage Of Convenience’. 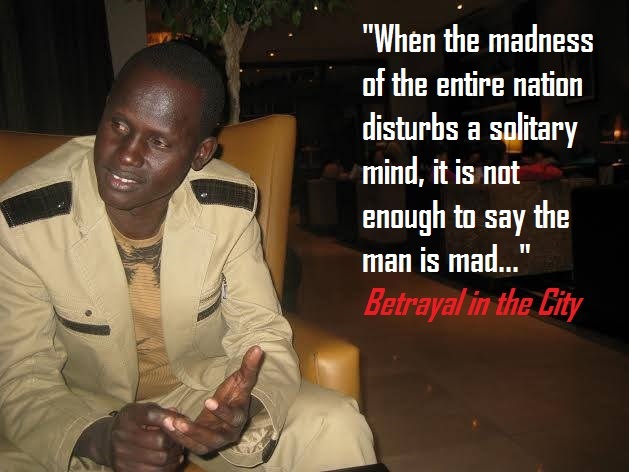 Again, had it ever crossed the mind of a reasonable SPLM cadre that Tut Galuak (Tutkew) or Gordon Buay Malek would ever be the most trusted patriots around Salva Kiir today? I mean, to those who saw Tutkew going to court in Khartoum to stop our Referendum in 2010 or Gordon Buay declaring himself president of the new republic (of South Sudan) 4 days after Kiir declared the independence? Please, let people talk. Do not waste the lives or resources of the South Sudanese people in a vain attempt to ‘cull’ those citizens with opinions other than yours or yours or than your choicest leader’. It is natural. Nobody has ever, or will ever, allign the views of other people to theirs by a hundred-percent mark. Unanimity only happens in the situation where one has put somebody at gunpoint. Plus, responding in unison can only happen in the South Sudan Legislative Assembly for reasons best known to this reader (you!). You know what makes Peoples’ representatives the Oyee Choir Masters of the SPLM (say ‘NCPLM’) Political Temple in Juba. Towards conclusion, I am not in prison and will never be in one just because I have spoken on something I believe is not going with my rights to reasoning. Those who see any opinion and rush into conclusion that “the Government of Salva Kiir would kill or arrest you”, stop misrepresenting that Government. You are turning it into such a psychologically killer cult in the minds of the citizens, which does not augur well with President Salva and his future. It was better while we waited (for our independence). Now we have nothing to look forward to. We have killed our past and are busy killing our future! 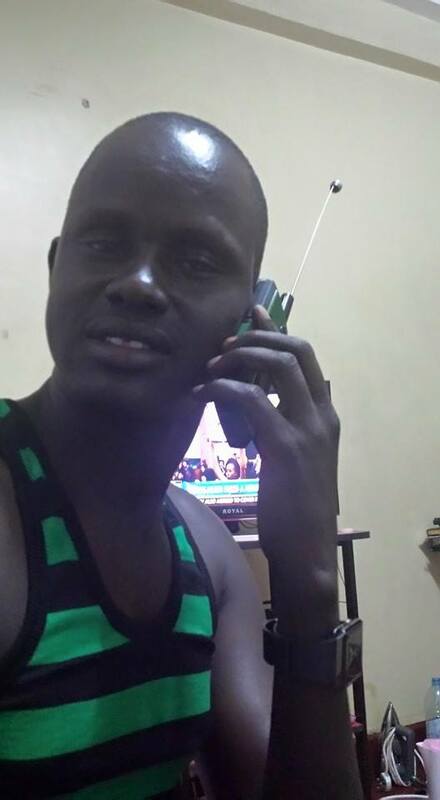 ← The Day I Fled Juba, Heard Of Lam And Karbino’s Killing, And Failed To Return Six Years Later!